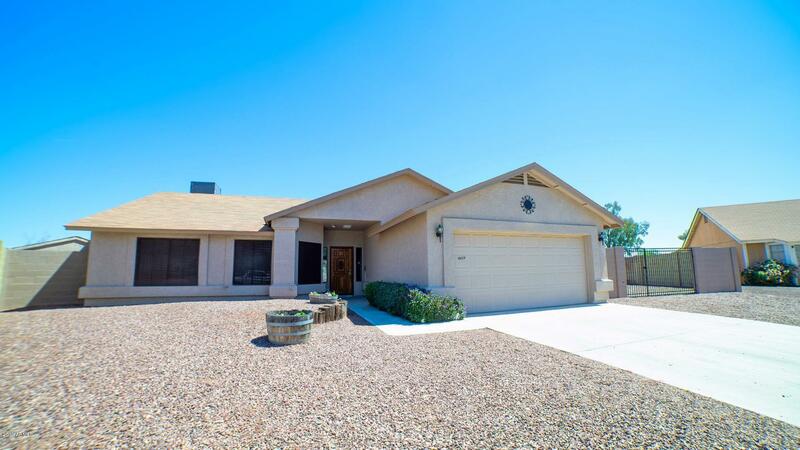 All VILLA DE PAZ homes currently listed for sale in Phoenix as of 04/20/2019 are shown below. You can change the search criteria at any time by pressing the 'Change Search' button below. "Beautiful move-in ready 3 bedrooms, 2 bath home on a huge 1/4 acre cul-de-sac lot with RV gate and parking. Perfect for all your toys * No HOA * Sparkling private self-cleaning pool * OPEN FLOOR-PLAN with preferred split floor plan and vaulted ceilings * Kitchen opens up into the great room - perfect for creating those invaluable family and friend memories * Large formal living room and dining room * Stainless steel appliances * Extended covered patio is ideal for entertaining * Has so many extr"